ARE SOME CHILDRENS IMAGINARY PLAYMATES GHOSTS? Are Some Children’s Imaginary Playmates Ghosts? Parapsychological survival theory presumes a part of humans and animals survives the physical body’s death which may account for some children’s ghostly pals. Many people think children’s unseen companions are mere fantasies of their imaginations. Some children claim imaginary friends don't always obey them, annoy them, are disruptive and/or don’t leave when told to. 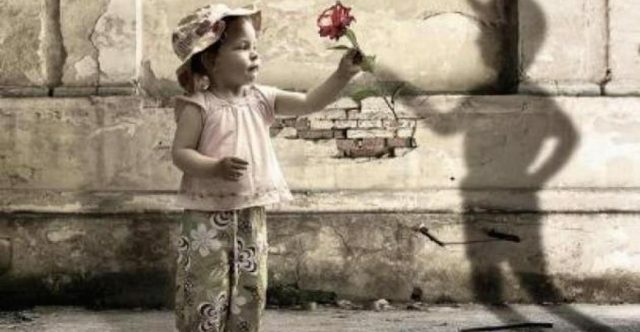 Imaginary playmates can be so real that there are children who believe they exist, while others say their friends are just “pretendsies;” however some children have imaginary friends who are ghosts. According to “Imaginary Friends: UO Researchers Study the World of Children’s Pretend Playmates,” by Laurie Notaro in The Register-Guard, www.registerguard.com/web/livinglifestyles/28148694-41/imaginary-noa-friends-imagination-research.html.csp, University of Oregon researchers discovered 64% of children have an imaginary friend by the time they’re seven-years-old. There’s an Imagination Lab where links between imaginary playmates and the parts they play in cognitive and social development are studied. Children’s experiences vary. Some children have a different pretend friend every week; others have the same one for years. There are children who interact and talk to their friends and those who only write about them. Research evidences that imaginary friends have a positive effect on children who have them. It’s normal and healthy for children to have imaginary pals, according to Marjorie Taylor and Alison b. Shawber, who wrote “With Friends like These,” Greater Good, greatergood.berkeley.edu/article/item/with_friends_like_these/, in spring, 2008. The authors’ research included observing children playing in their lab, separate interviews with children and parents, comparing their responses and follow-up consultations. Creating imaginary playmates is a frequent activity in early childhood and most playmates are supportive, pleasant, loving, and enjoyable additions to families; however some are liars, troublesome and unpleasant. There’s no distinctive type of imaginary friends that can include ghostly children, adults and animals, space aliens, heroes, monsters and angels. The results of this study agree with the Oregon one – that imaginary friends have positive effects. I Don't recall that I ever had any imaginary friends when I was little. I didn't have many real friends either. I wonder why a person would create an imaginary companion? I suppose we could assume that some of them might actually be real, like aliens or ghosts or whatever, but if not why would somebody invent an imaginary playmate? That sounds kind of weird to me. Do the kids know that they are just using their imagination or do they actually convince themselves the imaginary person is real? One feature of childhood that many children experience is that of the imaginary friend. Especially for those children who are lonely or introverted, these imaginary pals offer the only source of friendship they have, getting them through tough times and always by their side no matter what happens. On the surface this is all seen as just a normal rite of passage and a harmless feature of childhood that we all grow out of, but what if there is something more to it all? What if these imaginary friends are not so imaginary after all? It would turn out to be not so cute in the coming months. The family ended up selling that house and moving to a bigger place once Eric’s wife was pregnant, but would get a rather chilling phone call from the new owners. According to Eric, the new owners had found a trapdoor at the back of their daughter’s closet as they were renovating. Within this trapdoor they had found a box containing some baby pictures of an unknown individual and some baby clothes. Eerie yes, but it would get even more unsettling when the man informed Eric that the box said “Jonathan” on it. Was his daughter actually seeing a ghost? One day I started jabbering about how Samantha said she was going to burn our house down. My dad was worried, obviously, that she might be a harmful spirit. So he went down to the basement to talk to her, and as he did, he started to feel something behind him. He turned around, and a little girl of about 7 was behind him. She looked perfectly normal, but she had “fire” around her. I say “fire” because it wasn’t really there, more like a ghostly image. She looked angry and walked off into the furnace room (yeah, yeah, I know, how stereotypical). My dad was mad and concerned at this point and forced the spirit out of the house. For a little while, I was sad, but I got over it pretty quickly. One day Jacey stopped watching TV after Dora the Explorer and headed off to her room. This wasn’t unusual because a lot of times her attention was diverted at the end of a program. What I remember is she came back to me a little later and told me she had a friend. Could her friend play? Being distracted, I remember only saying, “Yes.” Then things started to get weird because a pattern started to emerge, and that’s when I started paying attention. Every day at 9:30 a.m. (when Dora the Explorer ended) she had a friend. Jacey would look down the hall and say things like, “oh my friend is here!” She’d run down the hall. Sometimes Dora wasn’t even all the way over and Jacey would act like she’d heard something, and say her friend was here and run down the hall. One day she came to me and said, “My friend’s brother would like to come play, too. Is that ok.” I said, “Sure.” I started to ask questions, and I started watching what was going on around me. I have written down this information before because it was quite fascinating. The friends came every day. Once I said the brother could come they were both at our house every day. When I was feeding Jacey lunch one day I asked if her friends wanted or needed lunch too? She told me no. I asked, “Why? Aren’t they hungry?” She told me they didn’t eat. I told her everyone ate, and she told me they didn’t need to eat. I asked to take pictures of her friends. I even went to her room to ask about pictures, and I took a camera. She told me that they were scared of me, and didn’t want their picture taken. I told her I wasn’t scary and I’d really like a picture. She paused as if listening and said they were still too scared. I asked several times for permission to take pictures, but never got permission. One time in the car while waiting to get her older sister out of school I questioned more: “Where do your friends live?” Answer: “In the forest.” Question: “Where in the forest?” Answer: “In the burned out rainbow house.” Almost all of Louisiana is forest, and forest isn’t really a word three year olds use. Question: “What are their names?” Answer: “I don’t know.” I was once asked if the friends could stay the night. I agreed, and that night that more than once I kept hearing stuff behind me while I was the only one up. I did snap pictures, but sadly when I saw nothing I deleted them. I wish I had kept them to analyze them further. One day I got on my hands and knees. I crawled down the hall and peeked around the door. I saw Jacey on the floor with My Little Ponies. Her back was to me. She was having a conversation with someone. I had heard her having these types of conversations before. She’d say things, and pause like she was listening to someone else, she’d even appear to be looking at someone who was talking. This time was no different. I remember her moving her pony on the floor, and I want to add there was another set of ponies on the floor across from her as if another child was there playing. Jacey had just said something, looked at whoever was across from her, turned around toward me and said, “Mom! I know you are there. My friend told me. You scared her!” I turned around and crawled away to think about what had just happened. These friends stayed around until Jacey eventually went to kindergarten, and I started teaching that same year. I don’t know what to make of the whole event, but more things happened in that little house I loved and I will write more about it another time. Jacey is now a teen. She has some memory of her “friends” but she doesn’t like to talk about them. It was a bit eerie. I remember thinking ‘what the actual f*ck?’ Max has always been a serious kind of kid. He even knows Santa doesn’t exist. We didn’t tell him, obviously – he just somehow knew. He’s smart. How could he possibly think Clara exists? It’s like a switch was flipped. They were small, explainable things at first, like random blackouts and flashing lights. But then things started breaking. I kid you not, random objects fell off the counter and the computer keyboard started typing random letters. My exercise ball even started bouncing by itself. I also heard strange noises and saw black shadows. I honestly can’t explain it.